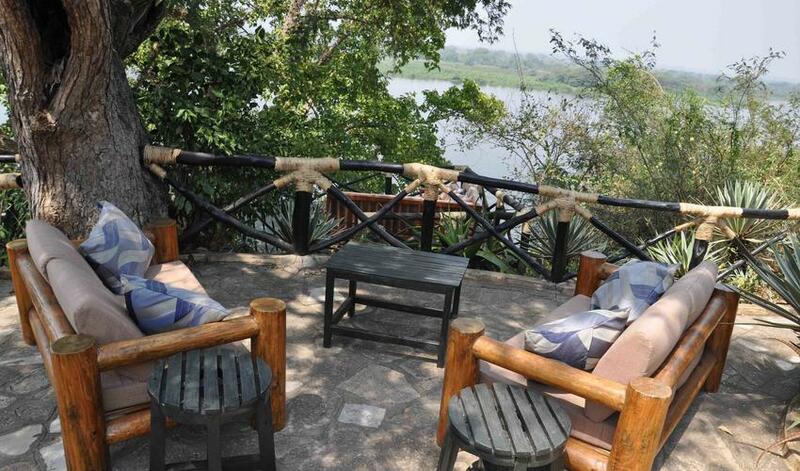 The Nile Safari Lodge is located in Murchison Falls National Park, a 6-hour drive from Kampala. The lodge consists of 10 rooms; 5 tented suites with outdoor bucket showers and 5 wooden en-suite cabins with indoor bucket showers. This allows for guests to choose their room type according to their particular taste. All rooms have flush toilets and running water in the bathrooms. The rooms are quite simple but comfortable. The lodge has a Robinson Crusoe feel with a nice lounge area under the shade of a tamarind tree that overlooks the Nile and its resident hippos and crocodiles. The lodge’s pool overlooks the river and the fire pit is a great spot for sundowners. Between the hours of 5:30-7:00am and 6:30-10:30pm, the power is on for charging batteries. Outside these hours, the lodge is solar powered, which we love. The staff here is friendly, the service is great, and the food is incredible. We like the size of the camp, but we think it’s better for small groups rather than couples. Activities offered at the Nile Safari Lodge are nature walks, bird watching, and boat cruises. 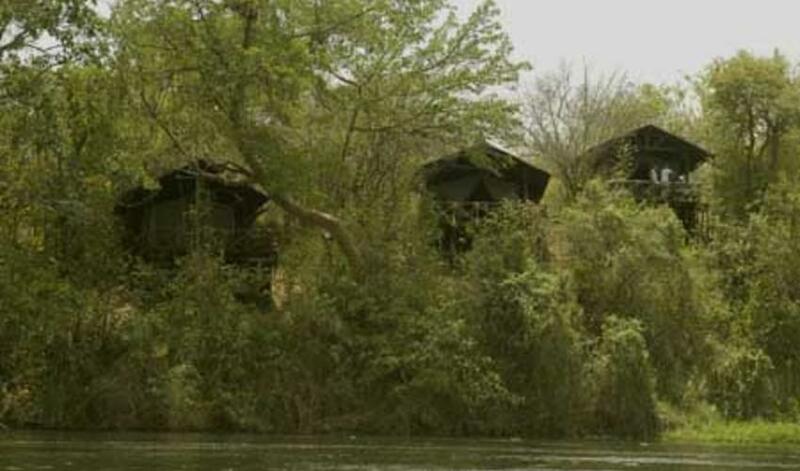 The park has excellent bird sightings (best in November), but doesn’t have a high success rate for viewing chimpanzees. We recommend Kibale if you’re looking specifically for chimps. We think the best time to visit is during October and November. You might get caught in the short rains, but the crowds will be fewer and it is very beautiful.